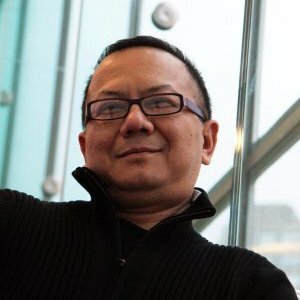 L. Somi Roy is a Manipuri-born, New York-based film and media curator specializing in Asian, Asian American, and non-fiction films. He is an arts producer with a special interest in transnational media projects as well as Film Festival Director for Indo-American Arts Council, Inc. Somi has taught at NYU and Manhattan Marymount College; spoken at the National Geographic Society and the Smithsonian Institution; translated Manipuri literary works into English; and written for Artforum, Asian Culture (the Smithsonian), Wide Angle, Black Film Bulletin (London), The Drama Review and Persimmon. 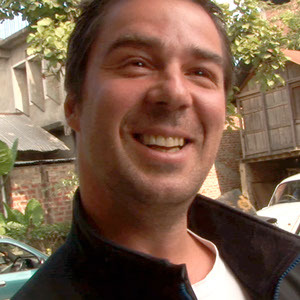 Axel Baumann began his career as a cinematographer in 1997 when he shot his first feature film, Creation, directed by Thomas Roth. Since then he has shot five feature films as well as numerous documentaries for National Geographic, Discovery Channel, The History Channel, The Sundance Channel, PBS, A&E, as well as commercials for Adidas, G.E., Execjets, Sony, IBM and Allstate. In 2005, Axel received his first Emmy nomination for Liberia: An Uncivil War, directed by Jonathan Stack and broadcasted on Discovery/Times. In 2008 Axel was awarded an Emmy for Carrier, a 10-part series for PBS on the aircraft carrier USS Nimitz, produced by Icon Films and directed by Maro Chermayeff. Recently Axel completed cinematography on Herb and Dorothy 50X50, an audience award winner at Silverdocs released by Arthouse Films, as well as a biography on Thomas Jefferson for the History Channel. His most recent project is War Against War, a film on UN Peacekeeping directed by Oscar winner Fisher Stevens. Axel also teaches cinematography at the School of Visual Arts Master’s program in Social Documentary Film. 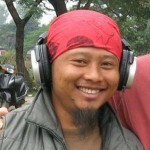 Dave Thoudam, a documentary filmmaker and musician from Manipur, is the creative director of Shallow River Studios, a collective of young artists who produce music, theatre and film projects about social issues in Manipur. 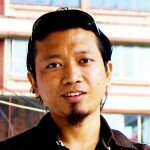 His documentary Real, on HIV/AIDS in Manipur, was in MoMA’s 2005 Documentary Fortnight and is part of the museum’s collection. He earned a B.A. degree in political science in 1998 from the Mithibai College of Arts in Mumbai, a Master’s Degree in Public Administration from the University of Mumbai in 2001, as well as diplomas in broadcast animation, television/film production, and Hindustani music. A Manipur native, Bona Meisnam has worked extensively in Mumbai as well as Manipur, frequently collaborating with Dave Thoudam of Shallow River Productions. Bona has shot many featurettes, documentaries, PSAs and music videos. He works as a screenwriter, editor, director, and director of photography. 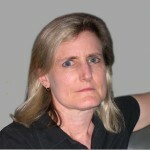 Pamela Scott Arnold, 2013 Ace Eddie winner for best Television Documentary; six-time Emmy nominee; Grammy Nominee; DuPont, Chris and Humanitas Award-winning editor with over 30 years of experience in feature, television and documentary film. Selected credits include: 2013 Makers: Women Who Make America; 1998-2012 American Masters; 2011 Rising: Rebuilding Ground Zero; 2011 Serving Life; 2010 Phil Ochs: There But for Fortune; 2008 Carrier; 2004 With God on Our Side: George W. Bush and the Rise of the Religious Right in America; 1999 to present: Frontline; Egg; Strangers with Candy. Maxwell Anderson worked as a locations assistant for Paramount, Columbia, and Warner Brothers, and made the switch in 2005 to post-production, first assisting for editor Mary Lampson on the Emmy-nominated film Rain in a Dry Land by director Anne Makepeace. He went on to assist for editors Nancy Baker, Jean Tsien, Jay Freund, and, most recently, Lisa Palattella, on Carl Deal and Tia Lessin’s Citizen Koch. The Only Real Game is his first feature editing credit. He is an avid film watcher and, when he has time, writes reviews on his blog Ecstatic Text. 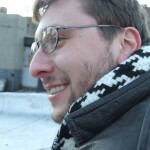 Adam Zucker is a documentary filmmaker and editor. 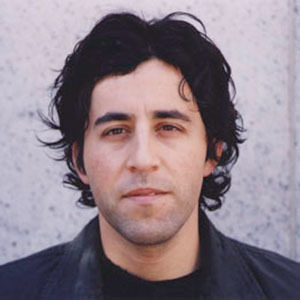 His film Greensboro: Closer to the Truth (2007) received the Audience Award for Best Feature at the Rome International Film Festival and Best Documentary at the Dead Center Film Festival. He is currently in production on The Return, a film about young Jews in Poland rediscovering their Jewish identity. 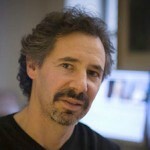 He has cut numerous feature documentaries including Rory Kennedy’s American Hollow (HBO); Dori Berinstein’s Carol Channing: Larger Than Life, Show Business and Gotta Dance (Tribeca Film Festival premieres); Michael Kantor’s Broadway: The American Musical (PBS); Madison Davis Lacy’s Richard Wright: Black Boy (PBS); and Ken Burns and Steve Ives’ The West (PBS). Paul Brill has received three Emmy Award nominations for his scores for the films, The Devil Came on Horseback (Break Thru Films), Full Battle Rattle (National Geographic), and The Trials of Darryl Hunt (HBO). Paul recently won the first-ever Best Music Award from the International Documentary Association (IDA) for his score for the film, Better this World. He collaborated with Rock legends U2 on the HBO film, Burma Soldier, scored the hit documentaries: Joan Rivers: A Piece of Work (IFC); Page One: Inside the NY Times (Magnolia); the Sundance Festival winning Love Free or Die; Christy Turlington Burns’ directorial debut, No Woman, No Cry (OWN); and the film adaptation of the best-selling book, Freakonomics (Magnolia). He is also the composer for dozens of TV series and films for PBS, National Geographic, A&E, MTV, History Channel, and Discovery among others. Zeyba Rahman is recognized as a bridge building cultural ambassador, working on culture/civic issues with live performances, film/video and visual arts as mediums to empower and transform. Rahman strongly believes in music’s power to create connections. As creative director/producer, she has collaborated with leading cultural and educational institutions including, Asia Society, Brooklyn Academy of Music, Lincoln Center, The Metropolitan Museum of Art and University of Iowa’s International Writing Program, among others. The New York Times named the concert she curated for Arts Midwest Caravanserai program at Asia Society featuring Pakistani vocalist Arif Lohar one of the top ten music events of 2012 alongside Jay-Z and the Rolling Stones. Rahman is the Director, Asia and North America, for Morocco Fes Festival of World Sacred Music. 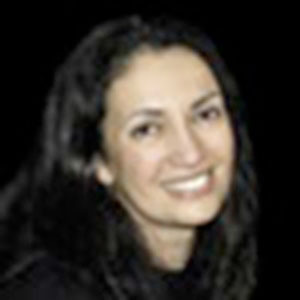 She serves on the Advisory Board of Artworks for Freedom, ITVS’s Diverse Muslim Voices Steering Committee and is the former Chairwoman of World Music Institute. 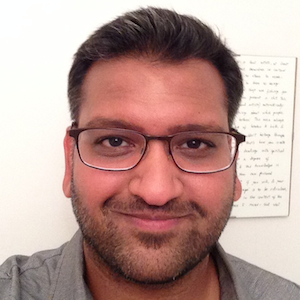 Uday Jhunjhunwala is a screenwriter and playwright based in New York City. His film, The Execution of Love, which is about coming of age amidst the Israeli-Palestinian Conflict is under development. He is currently also working on a new play and screenplay, which both take place in Jammu & Kashmir. He hopes, that one day, the Dodgers will move back to Brooklyn.